Formula One is back! 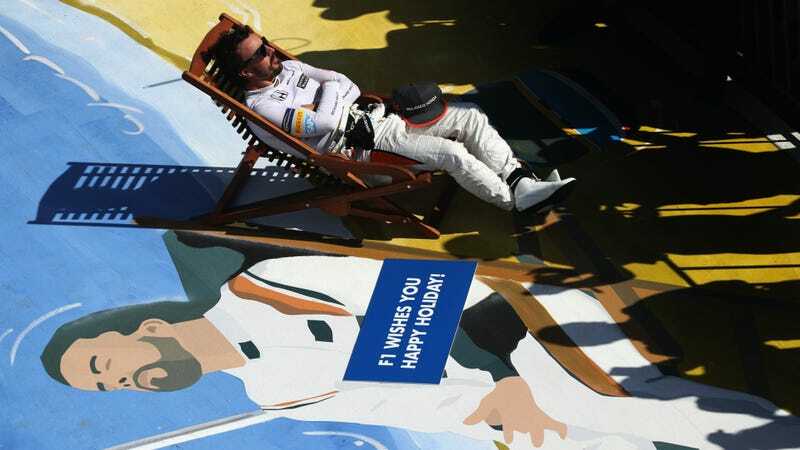 One of the hottest silly season rumors to come out of F1's first weekend back racing is that Williams might offer bad luck man Fernando Alonso a seat, reports Auto Motor und Sport. Williams! A team with a functional engine! Holy crap, please let this be true. Long-suffering Alonso has spent the last three years with McLaren in hopes that they’ll finally get a winning car, and this year his contract is up. McLaren announced that they would be keeping their other driver Stoffel Vandoorne for next year. However, Alonso says he won’t even be making a decision until at least September. Meanwhile, Williams runs a functional Mercedes engine. You know, the Mercedes that nailed the V6 hybrid engine formula right away—an engine which thoroughly dominated the rest of the field for a few years with their works team as everyone else was forced to catch up to it. Other teams have now, but it’s still a strong, solid engine. Williams’ chassis isn’t considered to be as good as the Mercedes engine in it, but that’s precisely why the team needs someone like Alonso who’s good at developing a car. Since the three most successful teams this year—Mercedes, Ferrari and Red Bull—don’t have any spots open, Williams may be Alonso’s best shot for a winning car next year. Williams may not be one of the top teams right now, but Alonso’s infamous for being able to take a less than ideal car and finish well with it. While there’s some talk of McLaren ditching that Honda engine once and for all, it will probably be for a Renault engine if anything, which hasn’t proven to be as strong as the Ferrari and Mercedes units this year. 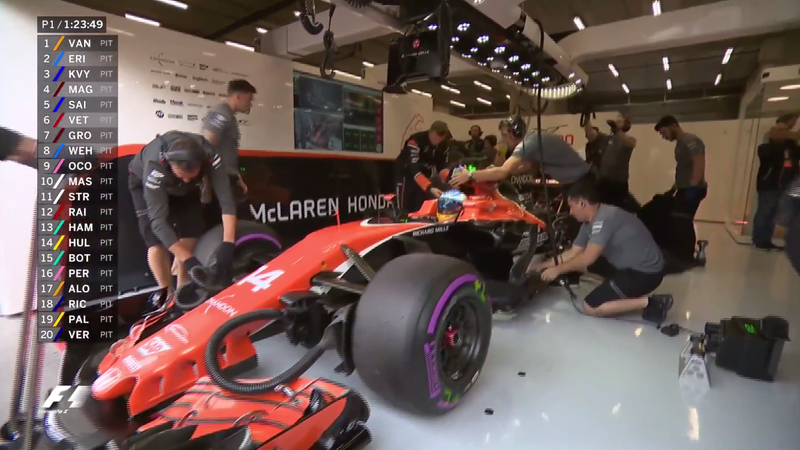 Either way, McLaren had their chance for three years and blew it spectacularly. If this rumor is true, and I really hope it is, Alonso should take Williams’ offer and not look back.